Since I wasn't clear what I was getting into with DMR, initially the operative words for me when choosing my DMR hardware were "inexpensive" and as "easy to use" as possible. Since I already had a nice D-STAR radio for all-around, multi-mode use, I decided to just barely stick my toe in the DMR soup to begin with. So initially to get up and running with DMR, I chose a cheap, single-mode radio, the CS580 UHF. After I had explored DMR for a while, I decided I wanted a bit higher quality radio. I tried a couple different radios over the course of the next couple of years, the Connect Systems CS760 (a good concept, but ultimately a bust, soon discontinued), and the Hytera AR-685 (a quite nice radio, but unfortunately with a dead-end development path). Recently, I picked up an AnyTone AT-D878UV. It's a nice, solid unit with a good screen (a black screen like my Kenwood TH-D74A, which I much prefer), a large memory capacity (it easily holds the entire worldwide CCS7 ID contact list), and it has extra capacity for future feature expansion. It also comes with a decent CPS software package. I think this one is finally a keeper. I got my AnyTone from Powerwerx△, a great source for ham radio-related electronics with a first-rate team. They have links to the PDF user manuals (for both the 878 and 868), a PDF programming manual (so far only for the 868, but good enough to get you started with the 878), as well as the latest contact list, CPS, and firmware versions△. I got a second 878 for a friend from BridgeCom Systems△. They have the latest CPS and firmware versions△. 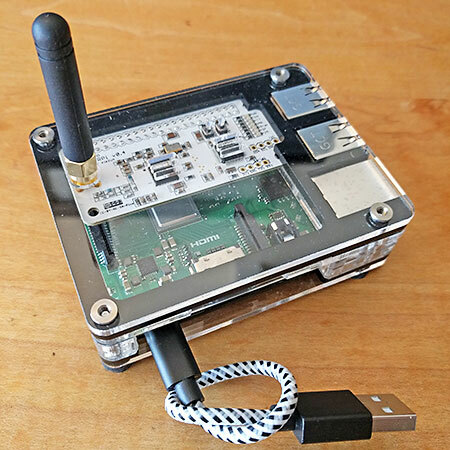 They also have the good fortune of having Chuck, K0XM, a founder of the Back Yard Repeater Group (BYRG△) in Kansas City (TG 31201), working with them as their support manager. The BYRG were early adopters of DMR and Chuck knows the AnyTone radios inside and out. How to Create a DMR Codeplug△ by Chuck K0XM. Anytone D868 Tutorial△ by WoodburyMan. Modifications, hints, tips and technical information for the AnyTone AT-D868UV and AnyTone AT-D878UV△ by Jason, VK7ZJA. You'll find the icon update files in the same zip file as the firmware update. While pressing and holding both the PTT key and PF2 key (the second key beneath the PTT key) side key), turn on the radio. The screen will display: UPDATE MODE. Connect the radio to a USB port on the computer. Select the COM port: In the Set menu, select Set COM, and then select the correct COM port to use. Note: During this process, if the CPS has any trouble using the COM port, first try exiting and then reopening the CPS. If that doesn't work, see the note: Driver signature enforcement△. In the Tool menu, select Firmware Upgrade. Select Duplex and set COM speed to 921600. Click Write to update the radio with the new icons. When the write is finished, turn the radio off, and then back on. For the first year that I played around with DMR, I used the openSPOT v1, which I quite liked, though I did wish it had built-in WiFi. As of late 2017, a ZUMspot running Pi-Star became my default hotspot. For more info about the ZUMspot and other hotspots, see: Hanging out with hotspots△. For more info about Pi-Star, see Playing with Pi-Star△.